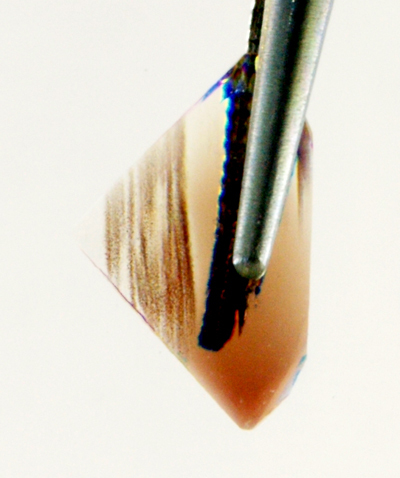 Kaleidoscope Sunstone Schiller How-to based on a “found” Oregon Sunstone gem. 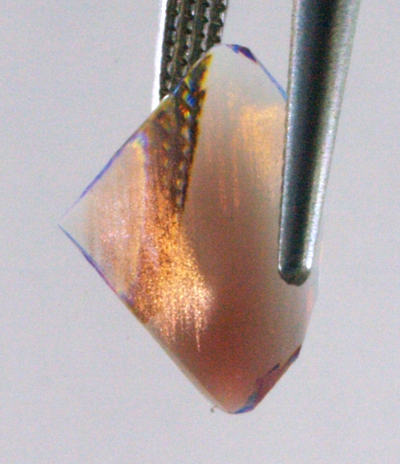 I was helping a jeweler friend recently with quality control on a parcel of commercially-cut Oregon Sunstone he was purchasing. As I examined the stones for color, presentation, and any flaws, one stone caught my attention. 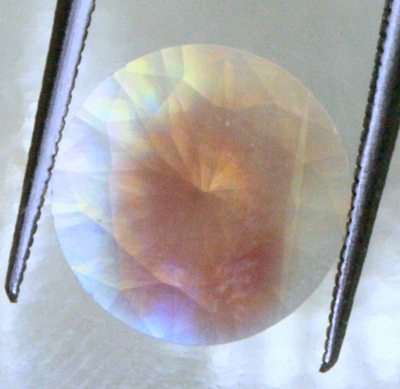 The gem was about 9mm in diameter, and the cutting was oriented about the Sunstone schiller inclusions in a way that created a wonderful spider-web or vortex pattern when the stone faced-up. 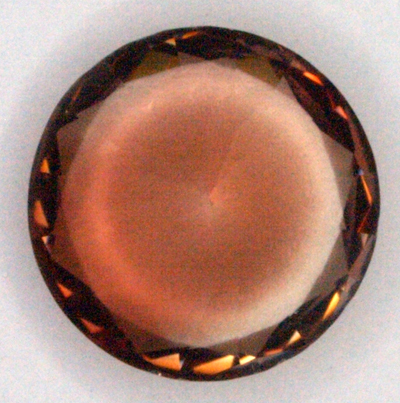 This is such a beautiful example of what we’ve come to label as “kaleidoscope sunstone schiller”, and the pattern is so symmetrical that I decided to share it here. You can see in the face-up photo how the pattern displays. The same stone, face-down, appears to be devoid of inclusions. 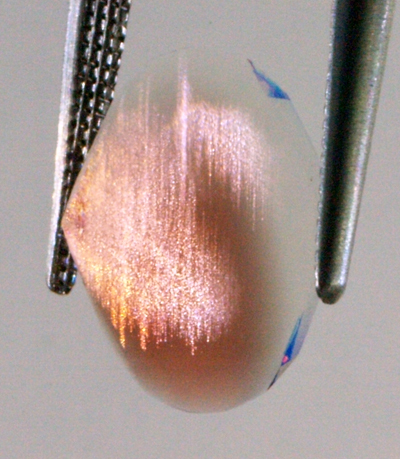 Even in immersion oil, the stone appears clean. So, where’s the magic that makes the vortex? And, an oblique angle with careful lighting displays the thin planes of schiller. You can see that even with the schiller turned for maximum reflection, the planes are still quite thin, allowing lots of light through – like a tiny metallic cheese-cloth or mosquito-screen. 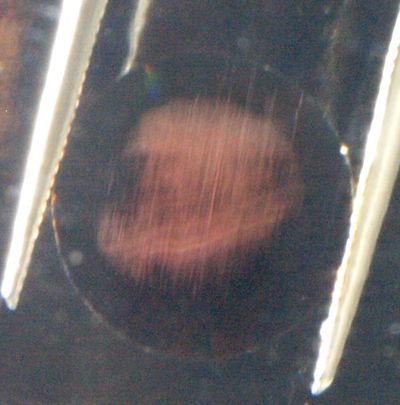 In this near-profile view the schiller is still reflecting light, and it’s possible to see the multiple layers of inclusion lying almost parallel to the table. 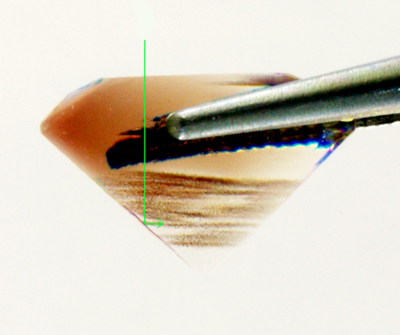 In the back-lit profile, the layers and their orientation become very clear. Each pavilion face is a mirror. So, when looking at the stone face-up, the actual view is through the mirror, looking ACROSS the pavilion at an edge-on view of the schiller planes. If you imagine a copper-colored cheese-cloth or mosquito-screen lying parallel to the table, it’s easy to imagine light passing through that layer, just as when looking out your window. 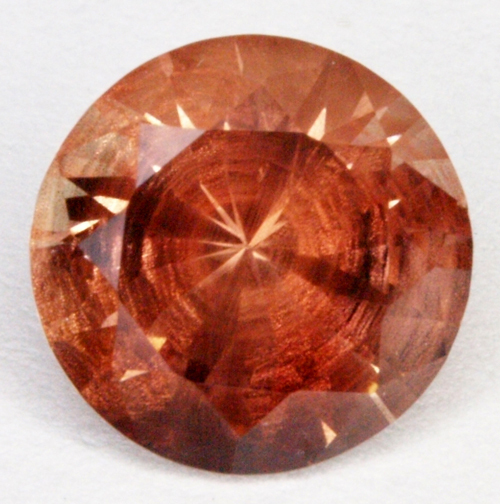 This is another example of why I think Oregon Sunstone is one of the greatest gem materials on the planet – and my personal favorite to work with. Questions? 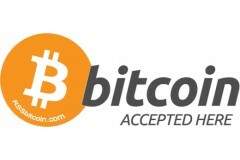 Just drop me an e-mail.